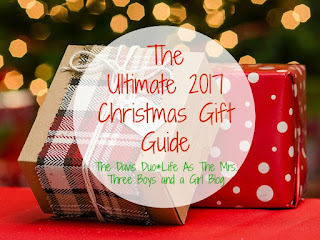 Last week I shared with you my Christmas gift picks for the kiddos, and this week I’m sharing my picks for the ladies. Scarf – I never get tired of receiving scarves and this black and white plaid blanket scarf is winter perfection. Hunter Boots – These are quite pricey, but they were a great investment. I have worn mine countless times and they still look brand new. I will be able to hang on to these for years and years and they will never go out of style. Plus, look at this gorgeous shade of pink that they now have… oh man, would I love a pair of these! 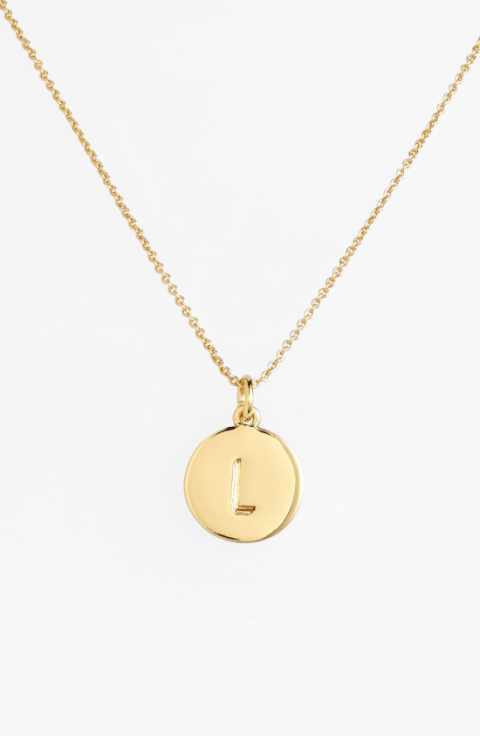 Necklace – Dainty necklaces never go out of style either, and this necklace with a single initial is perfect. 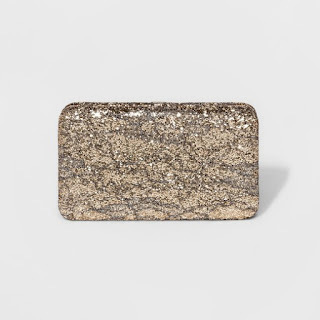 Gold Clutch – Perfect for an evening out and it goes with everything! 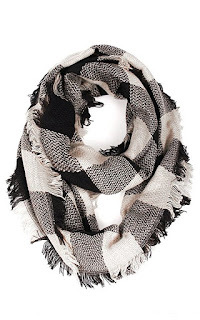 This will be going on my Christmas wish list! Wine Socks – Because who doesn’t love graphic tees/socks and who doesn’t love wine? 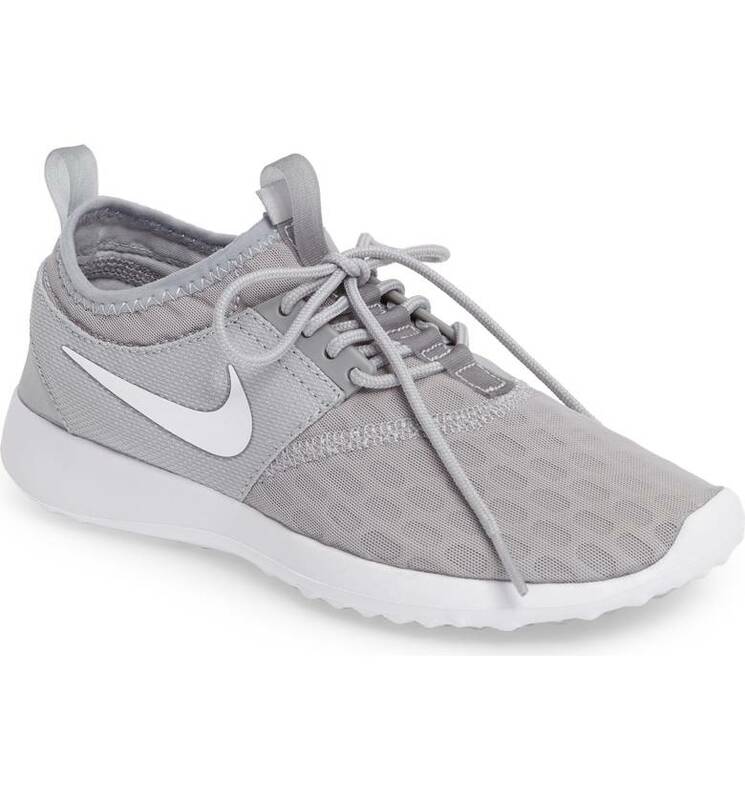 Nike Running Shoes –New Year’s is right around the corner and most people will be taking up some kind of new fitness activity. New workout shoes are a must. Bath Bombs – Because we all need to take the time to relax and a bath is the perfect way to do so. 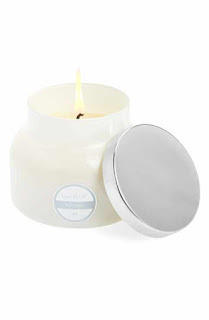 Volcano Candle – It’s one of the very best scents for every day use and one of my favorite candles of all time. 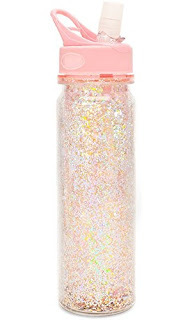 Water Bottle – It’s pink and it’s perfect to bring to the gym for those New Year’s resolutions. Toboggan – Cute and practical for the cold January weather. 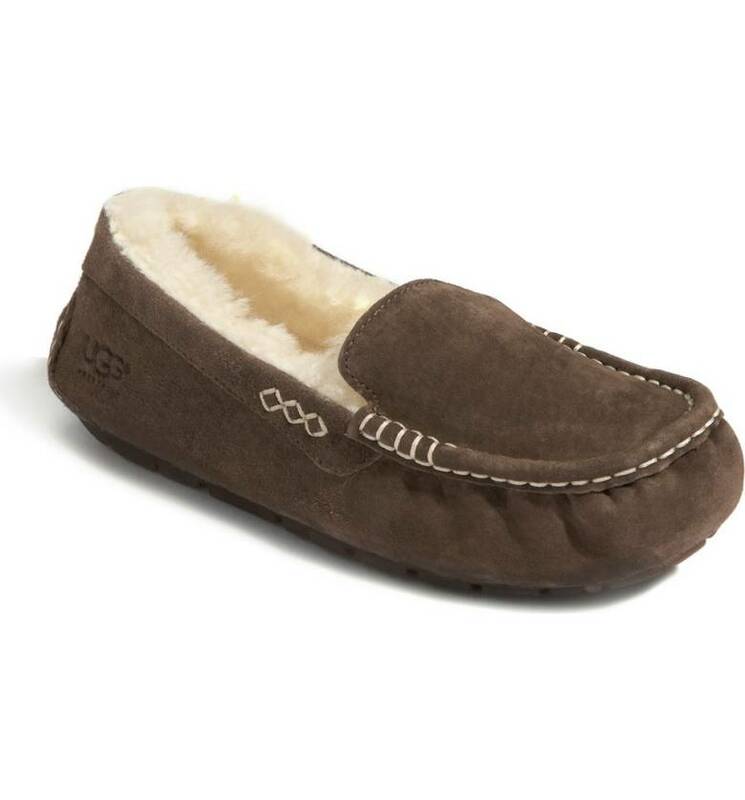 House Slippers – My feet stay cold, even during the summer. These house slippers are perfect for keeping cozy at home and they are as cute as they are comfy. 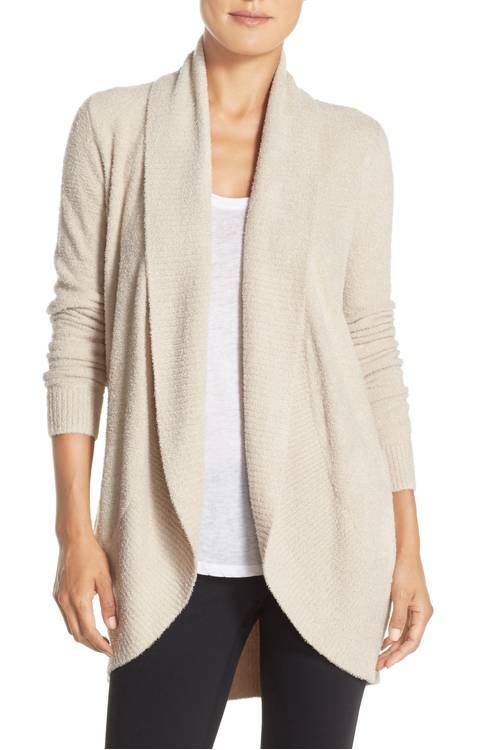 Cozy Cardi – This cardigan is all the rage right now and it is perfect for snuggling up in at home or wearing out when some cute skinny jeans, a tank, and flats. It’s way on the pricey side, though, so keep that in mind. 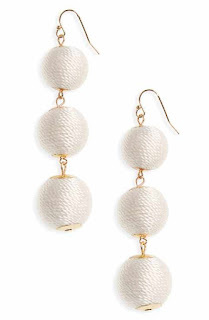 Drop Earrings – I could not love these drop earrings more!! 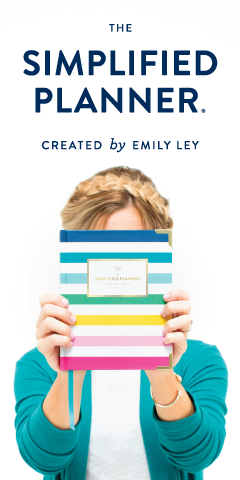 They are the perfect gift for a wife, your mom, or even a girlfriend! Ruffled Vest – Oh hey, there’s that ruffled vest again! 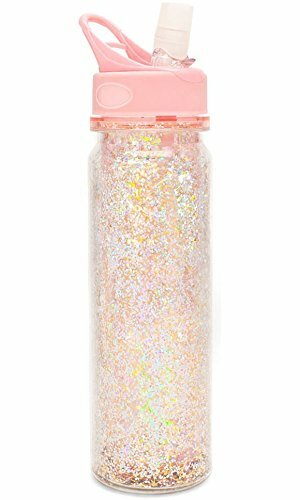 I ordered this and should be receiving it soon. Happy early Christmas to me! You have the BEST gift guides! Man, I LOVE that plaid vest!! And I have those white ball earrings and LOVE them! Have a beautiful day! Thank you! 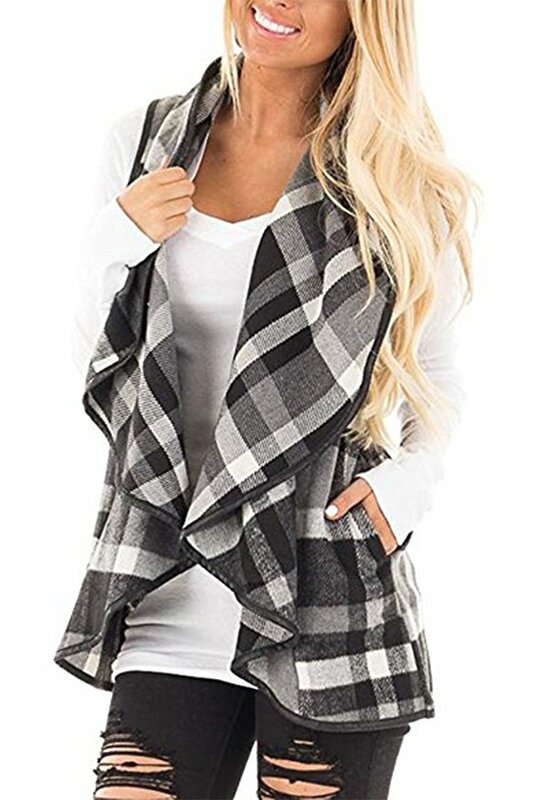 I ordered the plaid vest... I couldn't resist it! And I do want those earrings! So CUTE! I've got those grey tennies on my own personal list--and they aren't to workout in haha! I just need a new pair of tennies to wear out and about. My mom has a pop socket and she loves it! You cannot go wrong with Hunter boots. I LOVE that pink color. 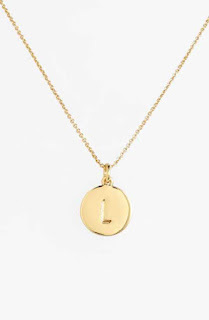 And that initial necklace has caught my eye, too. thanks for linking up with us! What a great list! 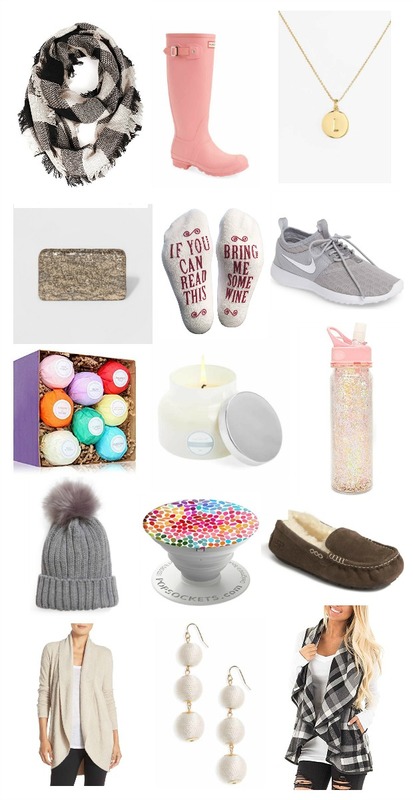 I see a few of the same things that I listed, so we definitely have similar taste! 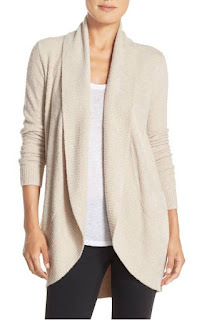 That barefoot cardi is so soft, I may have more than one hanging in my closet. 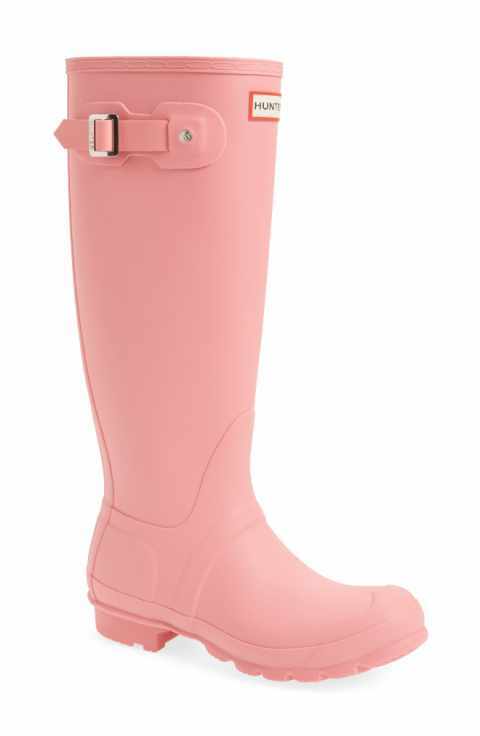 And those pink hunters are darling!! Thanks for linking up with us! 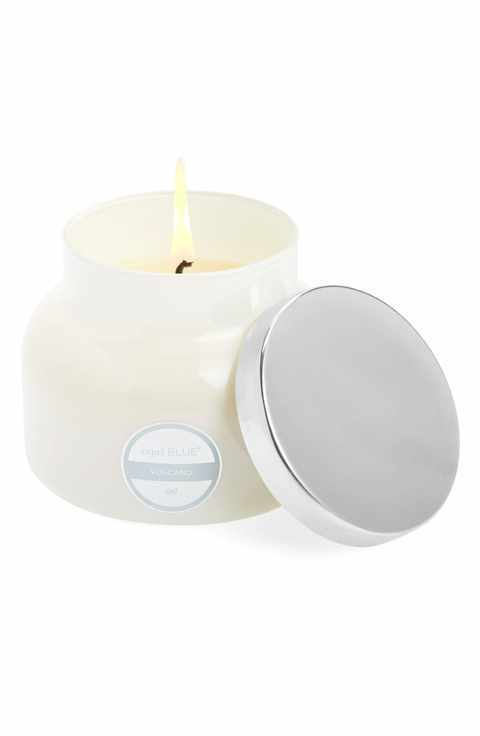 Great picks -- that candle is my favorite! Great ideas. I love that vest, I might have to get it for myself! So many cute gifts! I love the pink boots. I have some on my wish list! I have a Popsocket and can’t imagine not having one now!! I do a lot of TouTube workouts and it’s great to prop your phone up for those too! 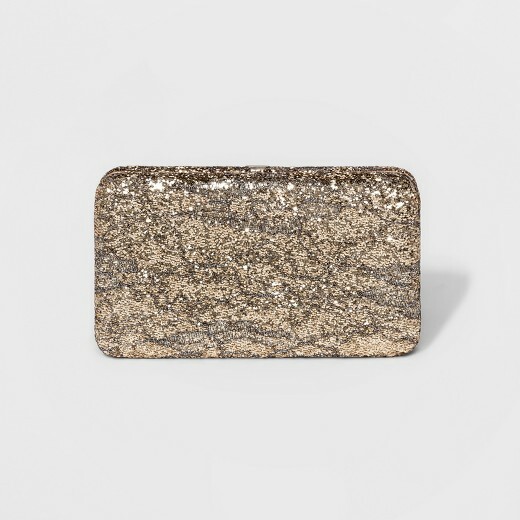 I hope Santa puts one in your stocking! We have so many of the same things on our lists. Love all your items! Those pink Hunters are everything!! I seriously need to just buy a pair already. I love my Pop Socket...definitely has saved my phone a couple of times! Ohhh that ruffled vest! And those socks!! Yes please! I would be happy with absolutely anything from this list. 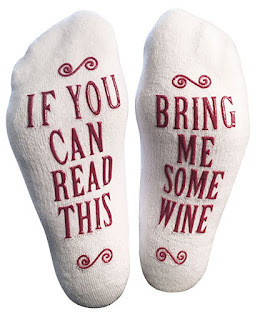 Pretty sure I need those socks! I have some! B got some similar ones for my birthday and I love them! That bath bomb set is so perfect for all my bath loving friends! I’m totally a shower girl though ;) those Hunter boots are sooo pretty! Thanks for linking up! I LOVE that vest. I need to look into that. I'm also a fan of those slippers and the scarf. 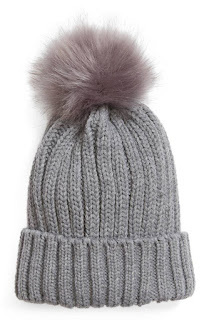 Anything to keep me cozy. Yes ma'am! That vest is on the way to my house and I wish it would hurry up and get here! I'm hoping to get a pop socket as well! ;) I also love the bath bombs set! Such a great list Linds! 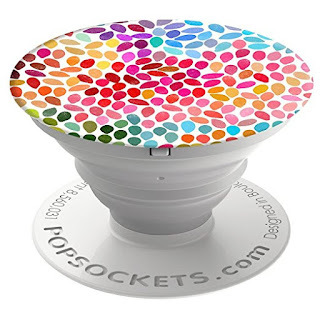 I love the idea of the pop socket. 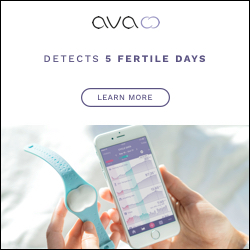 I ordered one for Andy! 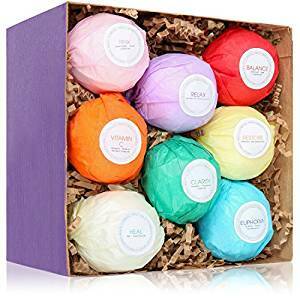 The bath bombs would be a great gift to give too! I splurged on that cardi during the anniversary sale and I live in it nightly!!! Hi Lindsay! 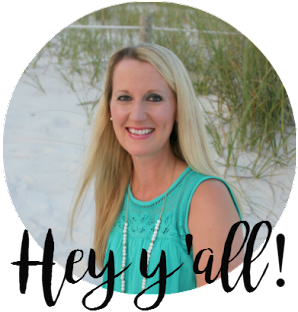 First time to visit your blog and link up! I love those pink boots..obsessed, and I ll take a pair of those cute socks too! I am dying to go to NYC aND AT the holidays would be so amazing!! Loved your about me section..sounds a lot like me...running a mile a minute and trying to get it all in! Thank you, Valerie!! I'm so glad you stopped by! And yes, I'm in constant motion... always running!